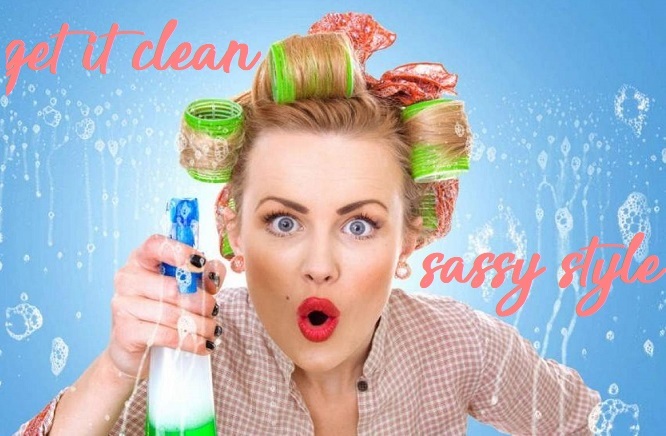 Clean and Sassy provides a very detailed in home cleaning service targeted towards busy families, college students, vacation home rentals and move in/outs. We specialize in deep cleaning with nearly 20 years of experience in the industry. Our basic package is a run down of everyday house cleaning. Although we do not go under or move furniture with this cleaning, you can request those services for an additional cost. Complete satisfaction guaranteed. 1: Sweeping and Mopping- bathrooms and kitchens are finished with an ‘on your hands and knees’ attention to detail. 2: Picking up and vacuuming all floors- we do not go under furniture or move anything around. 3: Linen Change- you must place the new sheets out. 4: Dusting- wall art, headboards, furniture, baseboards and crown molding ( fans and blinds are additional ). 7: Exterior Appliances & Cabinets Wiped Down- Interior appliances extra. 8: All Counter tops, and stoves cleaned- oven is additional. 9: Trash Removal- up to 3 bags. This cleaning does include some extras like wiping switch plates, folding a load of laundry and anything else the customer might request. Windows are NOT included. We do offer window washing if needed. Although this is a basic house cleaning, it is overall sanitized giving you a healthier place to come home to. -Beach Walk Cleaning Services showed up with little to no notice and provided an excellent cleaning with an unexpected gift on the bathroom counter. My husband and I were thrilled with the outcome and our home smelled insanely delicious. Our guests were arriving sooner than later and this was a perfect service given the stress we’ve been under. Highly recommend and will be scheduling in the near future- Lydia F.
-I was in a really bad car accident and couldn’t move around much. When I googled house cleaning in the Myrtle Beach area, Beach Walk Cleaning came up with a stunning amount of 5 star reviews! Now I know why. They are top notch, above and beyond, excellent in house cleaning. You won’t be disappointed- Catherine G.